I loved quilting this T-Shirt qult for my friend Mary. 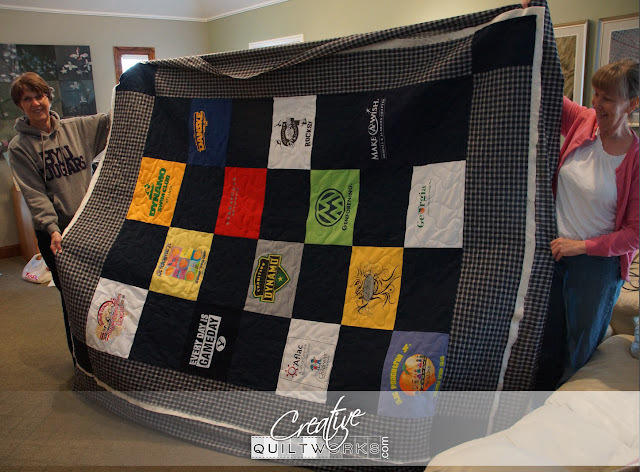 She made this quilt as a surprise for one of her children. Mary does such nice work! Thank you Mary for letting me quilt on your beautiful quilt!